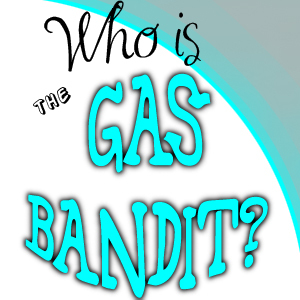 The Gas Bandit has existed as an online entity since the mid-90s, under various monikers. The Gas Bandit was on the sidewalk when Kennedy was shot in Dallas. The Gas Bandit had tea with the pilot of the Hindenberg mere hours before its tragic demise. The Gas Bandit is rumored to have been the one to speak up at that fabled meeting, planting the idea in Otto Von Bismark's mind that a unified German homeland might be a keen idea. There has always been a Gas Bandit. Shortly after planting the seed that was to become Queen Elisabeth, the Gas Bandit disappeared for a time, however, rumored to have travelled to the 8th dimension to thwart an invasion of extraplanar entities who defy classification or description. He returned with a store of flash-based games and an obsession with memes. Thereupon he travelled forward to tour with Sha Na Na and teach industrial basketweaving at Rutgers. Lately, he is content to play video games, collect images, and assault passersby with his unsolicited opinions, until the day he is once again required to rise to the challenge of staunching the advance of the greatest threat to humanity that existence has ever known.